It is always a great feeling to get back to the institution which prepared you for the endless life ahead with all kind of values, disciplines, lessons and knowledge during its small tenure. I remember the trauma I was in after my graduation has ended regarding how and where I should do my Post-graduation from as I found myself unprepared for further studies. I always believed and still believe that Information Technology is a vast ocean and just a thought that I had to learn all in 3 years used to give me goose bumps. 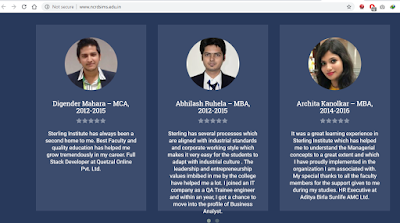 I finally chose NCRD’s Sterling Institute of Management Studies as my college for Masters of Computer Applications and I must say that the kind of support I got from all the faculties out there has helped me a lot during those 3 years and still helps me in my official life now. 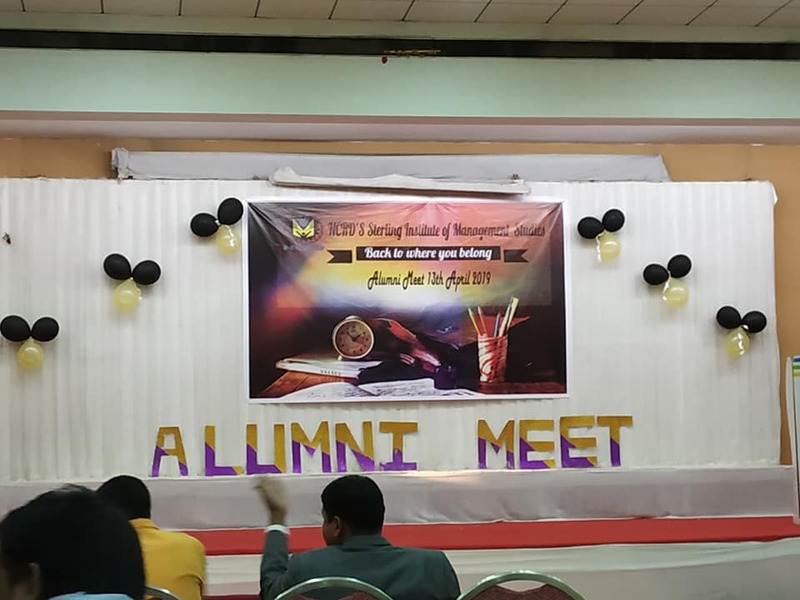 Sterling had arranged an Alumni Meet on this Saturday and had invited all of its alumni to attend the function and revisit some memories. 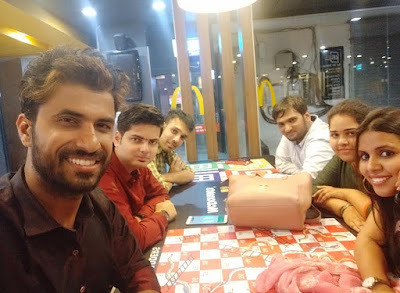 It was a special evening as I had wonderful one-to-one communication with all of my teachers and liked how they appreciated my approach of being in touch with them even after leaving the college. The way they conversed freely now was very endearing as during the college days, everything was so goal-oriented and stringent. 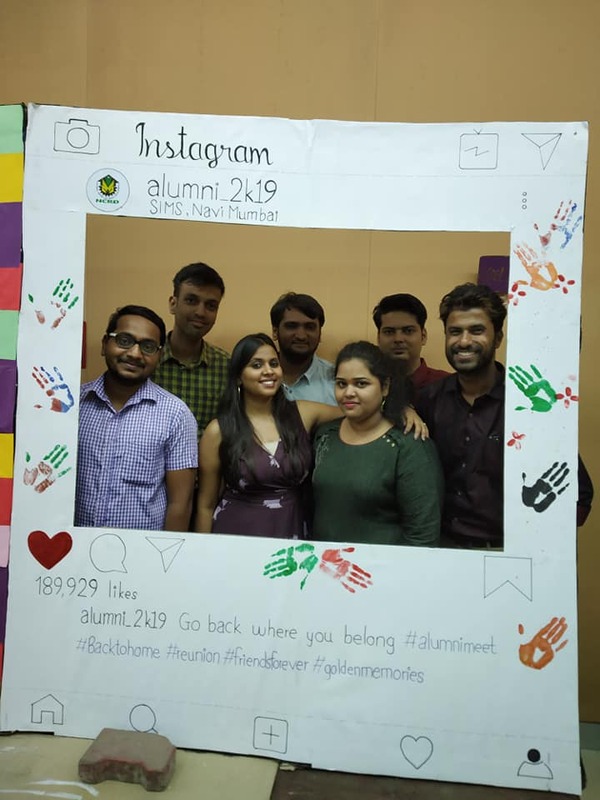 It was also a fulfilling experience to meet my classmates, juniors and seniors and know about where all of them are working and how far has everyone reached in their respective corporate life. I was also called upon to speak few sentences on how my experience with the college has been of which a short recording is available which I am sharing below. 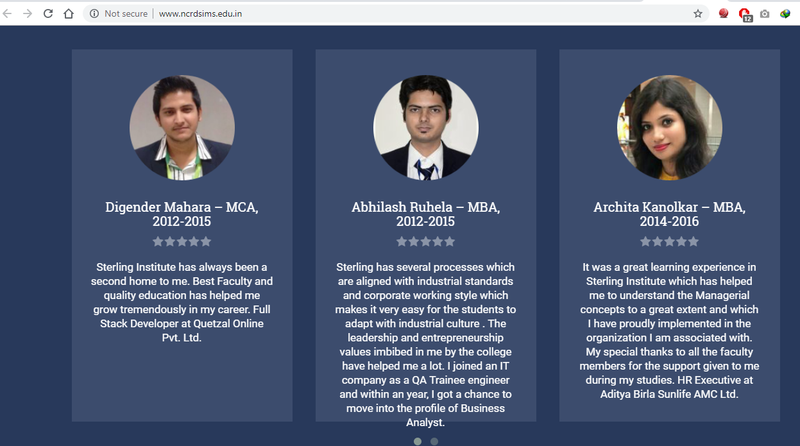 You can also find the screenshot of my testimonial for college from college’s website itself. This tells how college has accepted me that they involve me in each and every step. 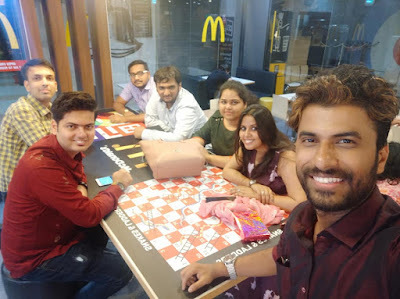 There are few pictures which we clicked out of awkwardness as everyone feels shy of taking selfies considering that we should behave little more mature now. Haha! 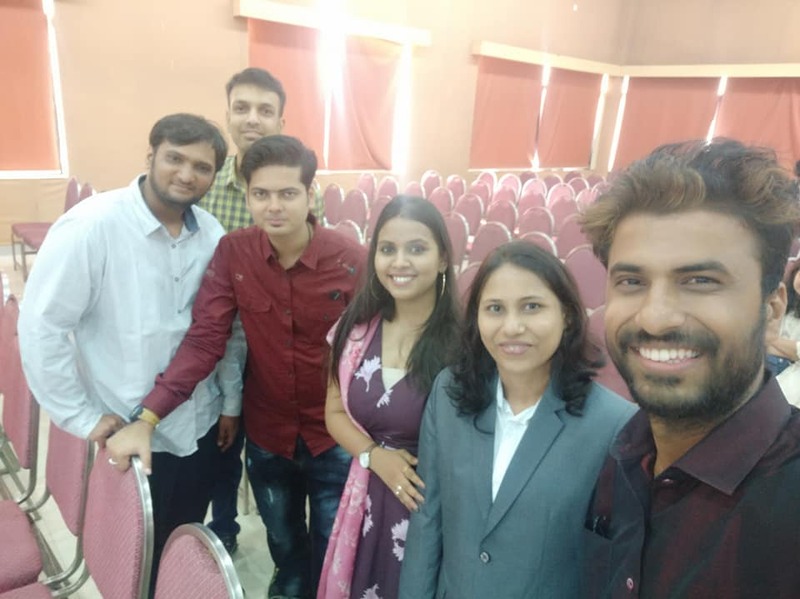 I wish my college, NCRD’s Sterling Institute of Management Studies, best of luck for all the future projects they are taking up for the betterment of college and students. There are few books which can’t be judged on the same parameters as others because of the way they are presented and written. How can you judge a book of 50 pages with an average size of book with 250 pages, right? 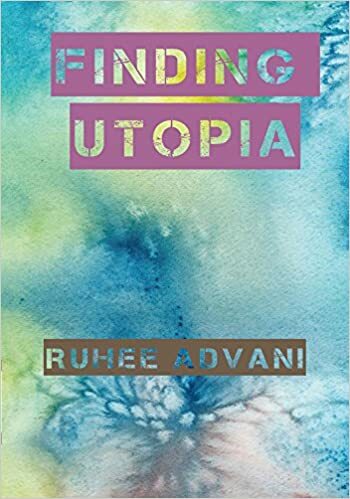 This Sunday, I completed reading a book named “Finding Utopia” written by a young authoress named, Ruhee Advani. This book is of around 50 pages which is written in a format of a play which has around 3 different acts with distinct themes. Ruhee has very cleverly kept this book short with an interesting concept for youngster which speaks about the trauma and confusion they go through when they are in their teens and about to pass-out from college. The insecurities of the children about their present and future, their questions about life, their fear about what they are doing is morally right or wrong is all discussed in this book in a very lighter note. The 1st act speaks about how Juhi’s friends are discussing about her state of mind which is not going great and seems if she has lost her way. Then a great conversation between Juhi and Arjun is kept in the focus where this stranger gives answers to all the questions Juhi had about life, herself and circumstances which were disturbing her mind. The 2nd act is very short where the realization of all what the stranger Arjun discussed with Juhi is discussed. The 2nd act describes about Juhi’s life getting back on the way as her inner thoughts are stable and she has got all the answers she was searching for. 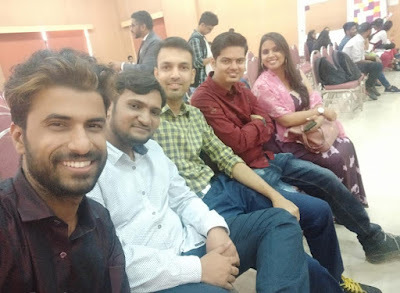 The 3rd act is about Juhi sharing her experiences with her parents where she gets to understand a new dimension of life where you need to search for your soulmate in a person who has capabilities to change and transform your life. The way book ends with a romantic angle to the whole act is a sweet and perfect way how this book could have ended. Overall, this book is a good light read of 30-45 minutes in between of thick books that we are usually indulged in. I give this one 3.25* out of 5. 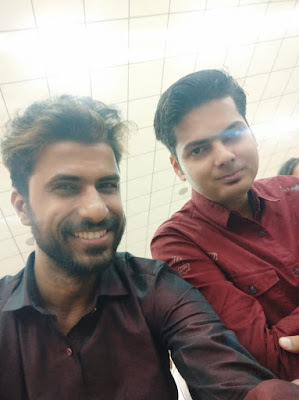 I sat in the flight for the first time just 4 years back and post that I had the experience of flying for 8 times. I saw people reading and working on their laptops but I loved watching the world from feet above through my window seat. I used to think how these people end up reading something when they can also enjoy clouds like me. Last weekend, I had gone to Delhi from Mumbai due to some assignment and because of having books at my end pending for reviews, I thought of finally reading in the flight and utilizing the 2 hours in the sky. 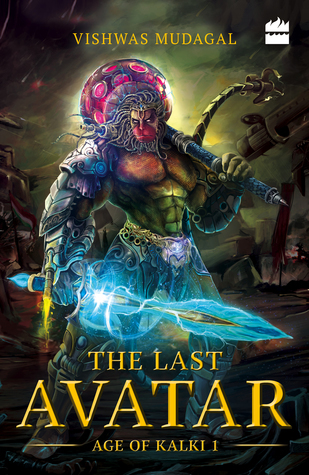 I picked up “The Last Avatar: Age of Kalki 1” written by one of my favourite authors, Vishwas Mudagal, and I would like to thank the author for making my flying experience better than all the flights I had before. I must say that since I read his 1st book, I was waiting for his 2nd book desperately and seeing a book from an altogether different theme surprised me. Vishwas is an entrepreneur in the technological space and I never knew he possessed interest in history and mythology. The book is all about the blend between his domain expertise of technology with history, mythology and even future. There are many books which have been written on the concept of the Last Avatar of Lord Vishnu, Kalki who shall come on Earth whenever needed on the planet but I must say this is the easiest book written till date which shall let you enjoy this book lightly without getting too much confused between timelines, characters, situations, fantastical world etc. The book starts with an unwarranted nuclear test that China conducts which shocks everyone in the world. The case gets escalated right up till President of USA. Later on, book discusses how there is difference of opinions even within China where the Government is not happy with what a person has done just for his personal satisfaction. Finally, we get introduced with characters- Shen and Nushen who belongs to Homo Supernus because of which they have some extra super-powers than human beings. Nushen, throughout the storyline of the book becomes my favourite because of the way she supports Neel, who is believed to be the next avatar of Vishnu- Kalki. The chemistry of Nushen and Neel is so wonderfully described that the whole segment when they run away from China’s capture is entertaining and chilling to read. The flashback of Neel with Arya and Tiger is also an interesting read. The secret that gets unveiled with that backstory has another big part to play in the book. The character of Jian who is basically the antagonist of this book is mentioned as someone having immense power to make the nuclear test at his will, capture anyone from anywhere, make famous Chinese actress his slave under his recluse. The segments where his difficult decisions etc. are narrated are also described in a great manner as you can feel his strength, horribleness, hatred, divisiveness, lustiness, betrayal etc. The characterization of each and every character is done with perfectness as you can completely imagine how they look and what they are like. I liked how author manages to discuss something as complex as concept of secret society named The Rudras so easily making it understandable to everyone. The author also manages to discuss something as terrorising as ISIS in the form of terrorist group- Invisible Hand in the book which manages to attack the Indian Parliament having the top ministers in the building at the time of bombing. Talking about the climax, this is one of the best climaxes I have read from books that still have parts to go for the story to end. This book ends with something which doesn’t let this part of book feel as incomplete but yet makes you thrilled and desperate for the further part of the tale. Closing the review, I must talk about the cover page which has this larger-than-life sci-fi version of Lord Hanuman’s image. The cover page because of this looks spectacular and makes the reader astonished as to how Lord Hanuman is related with the last avatar of Kalki but I must tell you, this is not just an image made for cover concept but is also the base of the war in the story. Do read this book to find out about it and Vanar Sena’s importance. I give this book 4.75* out of 5 for the incredible writing, flawless narration, seamless execution of complex concepts, action-packed scenes explained with words that helps you in imagining everything in front of your eyes easily and with all of this, still assuring that the book discusses above love and relationships incessantly. Kudos!